In 1975, the Virginia YMCA and the Virginia Bar Association’s Young Lawyers Division partnered to launch the Model Judiciary Program (MJP). It was through the work of our Executive Director Fulton Johnson, VBA President Gibson Harris, and Delegate Gerald Baliles. MJP has progressed over the years but still contains it’s purpose of educating Virginia’s youth with a hands on experience in Virginia’s judicial system. While Gerald Baliles would later become Attorney General and then Governor of Virginia, he still maintained his support for MJP and it’s importance towards educating youth. MJP is composed of three different levels; Trial, Appellate, and Supreme Court. Students will have the opportunity to portray attorneys, witnesses, and jurors while arguing cases in real court rooms with real judges/justices. These rounds culminate to the Supreme Court round where the top arguments from the Appellate round argue constitutionality in the Virginia Supreme Court with Virginia Supreme Court Justices. It was Chief Justice of the Supreme Court of Virginia, Harry Carrico, that said- “the Court feels this program is one of the most positive public service projects of our organization”- as they finished volunteering to preside over the MJP Supreme Court arguments. 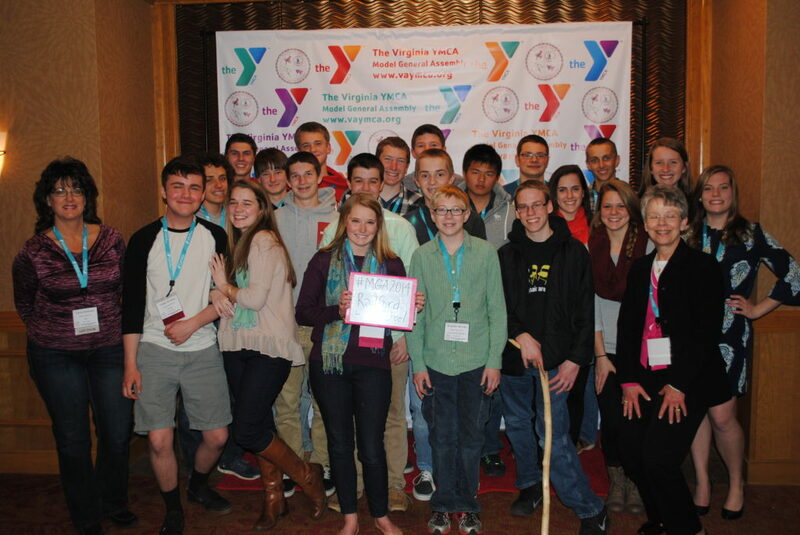 Students in Virginia can participate in the Model Judiciary Program through their local participating school or YMCA. If you are not sure if your local school/YMCA participates in our program, but would still like to get your son involved, please contact the Virginia YMCA and they will help get you started. Contact the Virginia YMCA and we will be happy to help you. There are several ways you can serve as an Advisor. You do not have to bring students to our program through one of our clubs, but we certainly encourage you to start a club if there is interest. You can find more information in the Advisor Guide on the MGA Programs page. How can I bring students to one of the programs? We require all students, either from a YMCA or a school, to attend with an advisor. If an advisor is interested in bringing kids, please contact us and we will help get you started. If a parent wishes to get their child involved, feel free to contact us and we can help you find the nearest participating school or YMCA. Contact the Virginia YMCA and will be happy to help get you started. Each club needs a sponsoring school or YMCA staff member from their local school or YMCA to advise the club. Advisors can view the Advisor Guide on the MGA Programs page for more information on how to get started.